Janice was one of my awesome students in Taiwan. Don't let her blog mislead you as to her abilities. She is an amazingly bright young woman, and teaching her AP English was probably one of my favorite classes of all time. I also had her in a Film as Literature class where I singlehandedly take credit for ruining movies for her. Her effort to rise above her ridiculously busy schedule of being awesome and doing this guest blog for me is greatly appreciated. When I was a wee freshman in college I took a logic class to fulfill my math general education requirement. I thought I was cunningly cheating the system – why wrestle with numbers and end up crying into my pillow at night (like I usually do when it comes to math) when I can take a class that has mathematical content, but with words instead? I was an English major. I loved words. You see, I’ve struggled with math my entire life because I could never understand why the numbers did what they did. Elementary Logic 122 was entirely about why the numbers did what they did, except in convoluted rhetoric with a handful of philosophy thrown in. I would have been much better off if I had just bit the bullet and taken Intro to Stats. At least there were only 10 digits you had to work with, not a long list of vocabulary and a myriad of symbols that made me feel like Sophie Neveu from The Da Vinci Code. A horseshoe? Really? There is a point to this, I promise. I suffered through Elementary Logic and emerged, battered and defeated, on the other side of the semester with a D. My TA was kind, and knew I tried, so she passed me. Either that or it was the tear stains on my final exam. In any case, I finished the course with no better understanding of how math worked, but a whole lot of respect for what it could do. I had the exact same experience with horror. Growing up, the only way I could ever make it through a horror movie was by covering my face and watching it through the space between my fingers. However, when Pan’s Labyrinth came out in 2006, it was described as “dark fantasy” by a local newspaper, so I thought I’d give it a try. Horror movies usually meant I wouldn’t be able to sleep with the lights off for months, but since it’s set in fantasy, I could handle it. I loved fantasy. I was wrong again, of course. 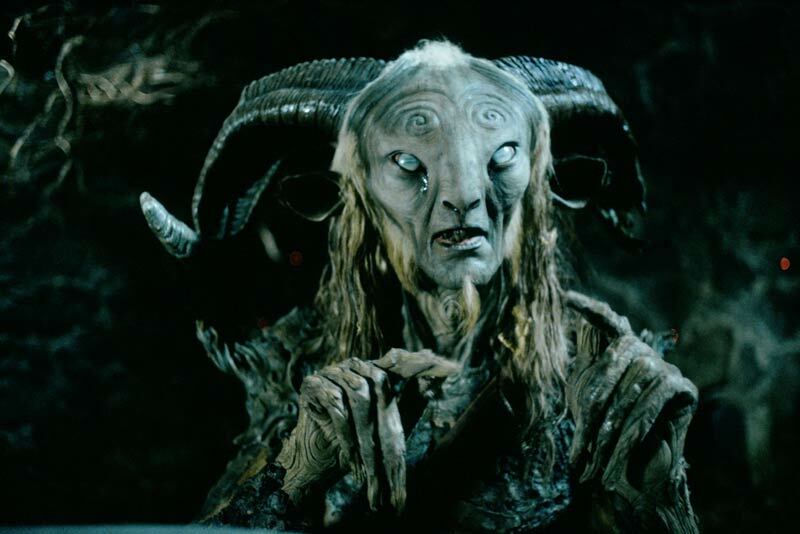 Pan’s Labyrinth was directed by Guillermo del Torro (who also produced Pacific Rim and Kung Fu Panda 2…I don’t get it either). It’s set in Spain in 1944, after the Spanish Civil War and during intense exchanges between the guerilla rebel forces and the military under dictator Francisco Franco. Main characters include Ofelia, a daydreaming 10-year-old girl, her mother Carmen, her stepfather Captain Vidal, and her baby brother. Also included are fantastical beasts such as a talking faun, insect-like fairies, an enormous toad, and a child-eating monster that resembles something from the survivor horror video game Amnesia: The Dark Descent. 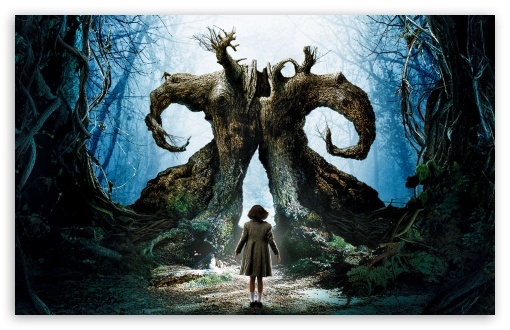 It’s hard to say what Pan’s Labyrinth is about. I can say family, because the tension among Ofelia, her mother, and Captain Vidal is so thick you can hit your head on it. I can say politics, because war. I can say the fight between good and evil, because Captain Vidal is as evil as evil comes. I can say childhood, sacrifice, honor, courage, love. Ultimately, though, I have to say that it is all of these things and so much more. It was a horror film that I thought wasn’t supposed to be a horror film, and I finished it thoroughly, deliciously spooked. I still spent the next few weeks sleeping with the lights on, and I still hated horror, but I could appreciate it for what it was. Like Pan’s Labyrinth, horror strives to be an amalgamation of all the things you hold most dear, which are coincidentally all the same things you’re most terrified of losing. And what is a good horror movie if it doesn’t scare you out of your wits? 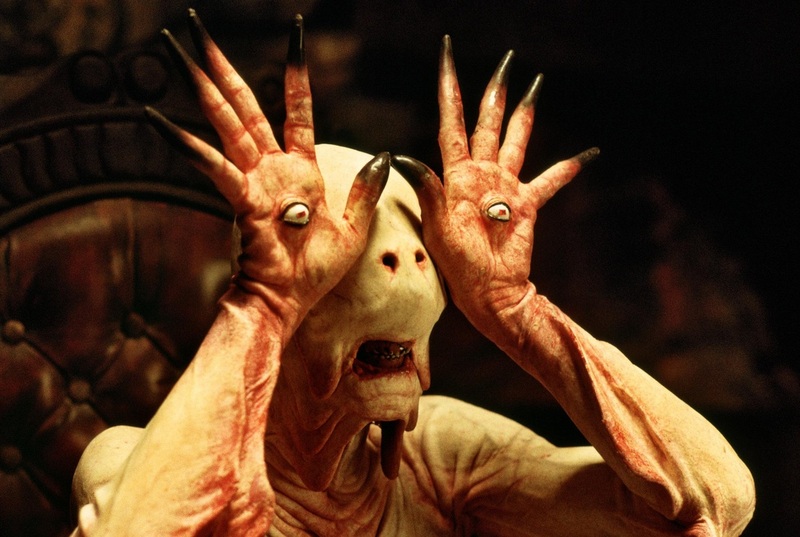 So next time you’re itching to spend a few hours being frightened out of your skin, give Pan’s Labyrinth a try. It goes to places that are deeper and darker than you think, but I promise there is no math involved.